This cake was made to share with friends! Taste: This cake was a chocolate truffle cheese cake. Filling: No filling in this cake. 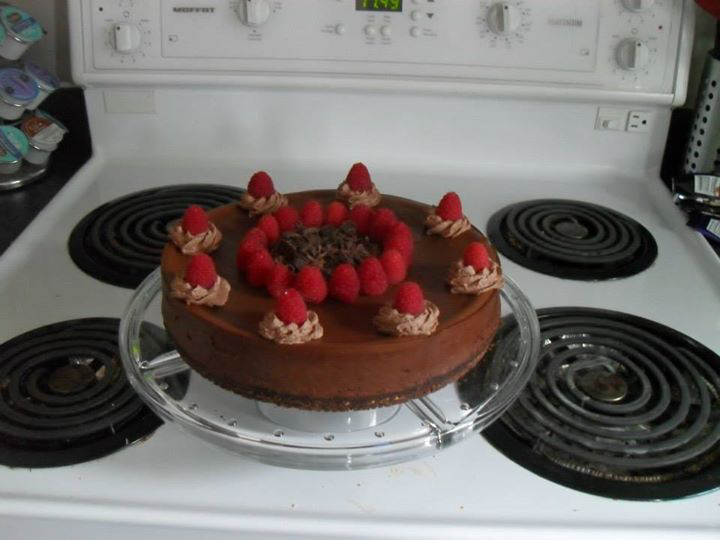 Icing and decorations: This cake was decorated with homemade chocolate whip cream, fresh raspberries and dark chocolate shavings.